Do you know of a person or company violating the speculative position limits on commodity products? The CFTC may pursue an enforcement action if you provide evidence to them through their whistleblower program. Our whistleblower attorneys represent individuals reporting corporate misconduct in the commodities and derivatives market. The Dodd-Frank Act, passed in 2010, authorized the Commodity Futures Trading Commission to pay eligible whistleblowers a reward when they provide information about violations of the Commodity Exchange Act or CFTC rules that leads to a successful enforcement action. There are position limits on certain commodity products governing how many net long or net short contracts a person may be held or control for the purchase or sale a commodity for future delivery. See 17 C.F.R. §150.2. The speculative position limits apply both on a spot month, non-spot individual month and all months-combined basis. These limits apply to corn, oats, soybeans, wheat, soybean oil, soybean oil, hard red spring wheat on the Minneapolis Grain Exchange, cotton no. 2 on the ICE Futures U.S. and hard winter wheat on the Kansas City Board of Trade. There are exemptions to these position limits for certain activities, including bona fide hedging transactions, certain spread or arbitrage positions, and eligible positions carried for an eligible entity in the account of an independent account controller. If companies do not maintain separate, independently controlled operations, then their accounts may need to be aggregated for the purpose of determining whether they have exceeded position limits. Because of aggregation, two companies that thought they would be within the position limits are no longer within them. Pursuant to the Dodd-Frank Act, the CFTC has proposed position limits on additional products, including other agricultural products, energy and metal. The previous rule from 2011 implementing this portion of the Dodd-Frank Act was invalidated in 2012 by the U.S. District Court for the District of Columbia. Clark Ogilvie, chief of staff to CFTC Chairman Tim Massad, told a Miami commodities conference that the goal is to get them approval for them by the end of the year. 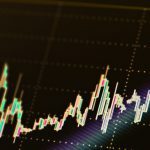 Position limits have been adopted in order to reduce the distortion of price caused by a large player in the market, reduce the potential for market manipulation and limit clearinghouse credit risk. Position limits have been used for more than 75 years. 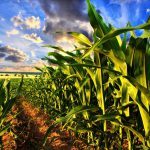 The Commodity Exchange Commission created position limits for wheat, corn, oats, barley, flaxseed, sorghams and rye in 1938. Cotton, soybeans and other agricultural products have been added, and sometimes removed, over the years. Whistleblowers have become an increasingly important tool for law enforcement agencies. Without tips from individuals with non-public information, a company’s violation of the securities laws and fraud against investors may go unnoticed for years. 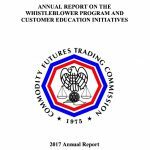 In order to facilitate disclosures, the CFTC allows anonymous reporting and takes measures to protect the identity of its whistleblowers. The CFTC will pay eligible whistleblowers a reward of between 10 and 30 percent of the amount recovered from enforcement actions over $1 million. Their whistleblower program was authorized by the Dodd-Frank Act in 2010. The CFTC has brought a dozen or so enforcement actions related to violations of the position limits over the past few years. The majority of them settle for less than a million dollars, making them likely ineligible for an award under the whistleblower program. However, a handful have exceeded the $1 million amount and would generate a notice of covered action. Dodd-Frank amended the Commodity Exchange Act to allow whistleblowers retaliated against by their employer to sue in Federal court and receive compensation for the wrongful acts against them. An individual becomes eligible for these protections when they have submitted Form TCR to the CFTC’s whistleblower office. 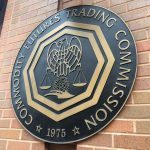 If you have evidence of a violation of the Commodity Exchange Act or CFTC rules, call 1-800-590-4116 for a free, confidential initial consultation with one of our CFTC whistleblower lawyers concerning reporting the suspected misconduct.